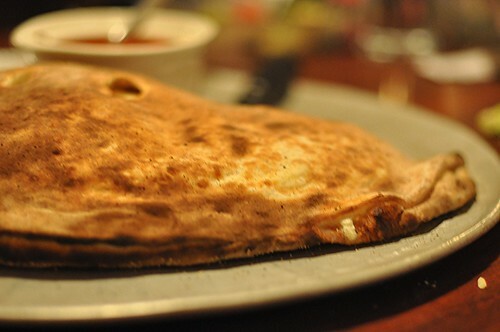 With a plain cheese calzone it's all about that gooey, cheese filling and Eli's delivers. 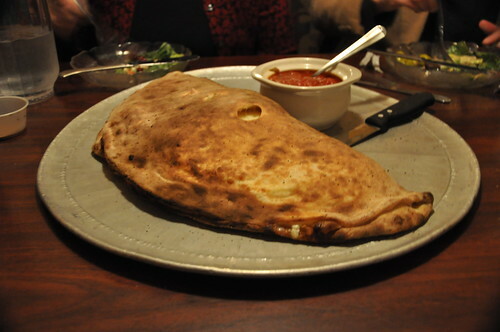 With each cut, the calzone oozed out more cheesy-goodness. Really how could you go wrong with mozzarella, ricotta and Pecorino Romano? And their chunky marinara sauce was great, too. Light and bright it was the perfect accompaniment to the calzone. If you run low on sauce be sure to ask for extra--they happily obliged us with a refill and our waitress even offered some extra sauce to-go when she packed up our remaining half calzone for the road. 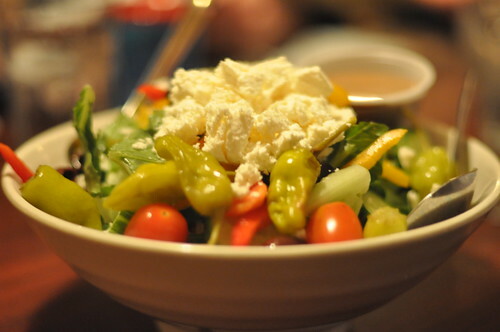 I also highly recommend their Greek Salad ($9), also enormous and perfect for sharing with a crowd this was chalk full of feta, tomatoes, cucumbers, and pepperoncini peppers and provided a nice bit of greenery for an otherwise cheesetacular meal. Eli's! I'll be back soon. Thanksgiving 2012: I'll Have Mine to Go! It's Black Friday! Shop local! It's The Last Weekend of Smorgasburg!! I Want to Eat All The Brick Chickens!